Pub with restaurant & bed & breakfast accommodation in Hilmarton nr Calne, 2 miles from Lyneham on the A3102. Arkell's pub with bed & breakfast accommodation at the top of the hill in Wroughton. Totally transformed in 2015 serving food 7 days a week. Beautiful and historical Arkell's pub just outside Swindon well known for its excellent food & Sunday lunch. Bar and brasserie in the heart of Old Town..
Pub with lakeside terrace at the De Vere Cotswold Water Park just 5 miles outside Swindon. Country pub with bed & breakfast on the Thames at Castle Eaton near Swindon. Fulfilling Food, Boisterous Beers and Relaxing Rooms in Ogbourne St George, nr Swindon. Located just outside Swindon, renowned Three Crowns provides the perfect balance between those looking for the full restaurant experience, or those looking for a cosy pub or bar meal. 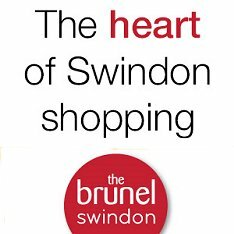 Premiere drinking & dining experience in Swindon. Having a Christmas drink after work?